- The cloning now only happens if the edit cursor follows the playback position, so that the tool stays out of your way when you're not recording live, you don't need to disable it. 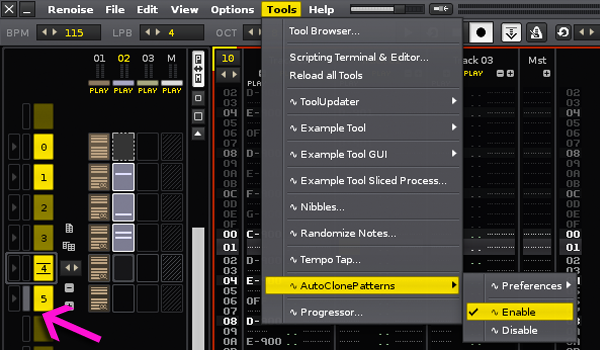 - The keybindings, which used to be in the "Pattern Matrix" section are now in the "Pattern Sequencer" and in the "Global" sections. - cloning now happens when you begin to record in any pattern of the loop, instead of waiting for the last pattern. doesn't clear the currently selected track anymore. - added an option to automatically delete the last clones on rec stop.